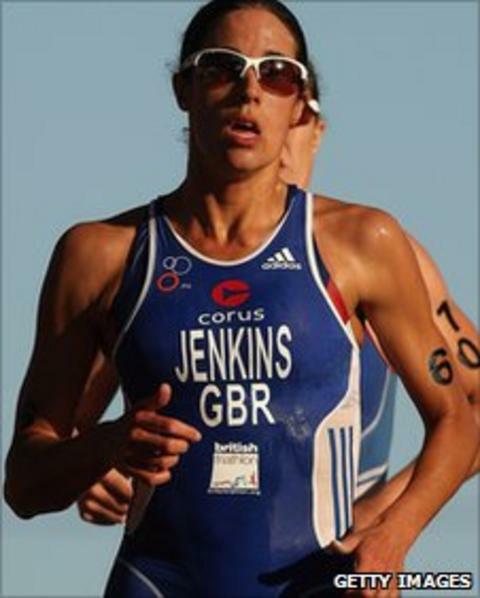 Welsh triathlete Helen Jenkins is confident she will be among the competitors at London 2012. Jenkins finished second to Paula Findlay at the Madrid Triathlon in the World Championship Series on Sunday. The 27-year-old from Bridgend will seal her place at next year's Olympics with a top-three finish at the Hyde Park leg or the Grand Final in Beijing. "If everything keeps going well with no major hiccups, I'm pretty sure I should make the team," she said. "I think we're going to have three British women on the start line for London 2012. I'm pretty confident I should be one of the top three Brits at that point. "You never know with the Olympics. I've just got to keep doing the best I can do every race and hope that's going to be good enough for the selectors. "To show any sort of podium form is going to put you in good stead for that Olympic selection process. "One spot is always discretionary in our selections so even if you don't perform at the selection races, if you've got good results to fall back on you've got more of a chance. "Every athlete who is competing in an Olympic sport at the moment wants to be at London 2012. "It's special to make an Olympic games but to go to a home Olympics, so few people get the chance to do that. It would be incredible to go. "Triathlon in the UK is really strong at the moment and I think having the home Olympics has raised everyone's game and everyone wants to be there." At the Madrid Triathlon on Sunday, Jenkins finished three seconds behind winner Paula Findlay of Canada following a sprint finish. It was a pleasing performance for the 2008 ITU World Triathlon champion, having fully recovered from an injury suffered at the opening event of the series in Sydney in April. "I was really happy with my performance overall," added Jenkins. "I got everything out of myself on the day. You can't really ask for more than that. "Paula Findlay's won the last four World Championship Series. She is the best at the moment and to get within three seconds of her at the finish was really something."